Andy’s Pest Control offers both interior and exterior treatments for spiders. We use professional grade residual sprays and dust to exterminate spiders from your home or cottage. Exterior treatments are typically done late spring/early summer for best results. We treat all areas where spiders like to make webs. Including soffits, fascia, window and door frames, exterior lights, railings, decking. We also include all sheds, garages, and lawn furniture! All of our exterior spider sprays include a 60 day warranty. Interior spider treatments typically involve treating all window and door frames, baseboards, crawlspaces, as well as anywhere spiders may be hiding. Getting an exterior spider treatment will not only clean up the appearance of your home or cottage, it will also save you time. You won’t have to clean spider webs off of decking or patio furniture every time you have company over to enjoy a barbecue or drinks on the deck over-looking the lake. Our customers love walking out their front door without getting tangled in webs. If you have never had your house or cottage treated before, give it a try! Have a trailer? Do you want to get the best rates possible? If you said yes to those two questions, Andy’s Pest Control can help – If you are in a trailer park and would like to get a group of friends together you can qualify for the best rates available. Please call for more information. Arachnophobia (the fear of spiders) is a very real problem for many people. 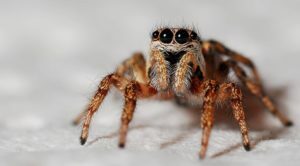 Andy’s Pest Control is fully understanding of the fear people have from spiders and we are here to help! If you or a loved one has arachnophobia, we understand and can help! Please feel free to contact us to set up a treatment. Andy’s Pest Control services all of Peterborough, Lindsay, Kawartha Lakes and Bancroft.